Power NI is the largest electricity retailer in Northern Ireland supplying over 700,000 homes and over 40,000 farms and businesses. They needed a telephone based PCI DSS compliant solution using speech recognition that allows Power NI customers to purchase electricity. The EckohPAY service was extended in 2007 to incorporate a compliant web-based solution. 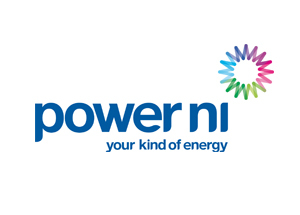 Eckoh has been working with Power NI since 2005 initially delivering EckohPAY, a telephone based PCI DSS compliant solution using speech recognition that allows Power NI customers to purchase electricity. The EckohPAY service was extended in 2007 to incorporate a compliant web-based solution. Power NI has seen more and more of its customers opting to 'pay as they go'. A quarter of a million people in Northern Ireland now have electricity Keypads installed in their homes. Power NI research revealed a high level of customers were interested in mobile payment options. Due to the well established relationship with Eckoh, Power NI approached their Mobile team to discuss how the payment services could be enhanced to include a smartphone based payment solution for both iPhone and Android phones. Eckoh's needed to first understand what the end-user would be trying to achieve and design a solution that would satisfy their goals in an engaging but convenient manner. The project started with requirements gathering, wire framing and graphical mock-ups. Throughout the development, Eckoh worked closely with Power NI to adjust the design and features of the Apps in response to feedback and end-user testing. The iPhone App was launched in August 2011 with the Android version made available in October 2011. Both smartphone Apps identify customers through a unique meter ID detailed on a top-up card. The payment card authorisation and settlement is handled in real-time and the customer is issued with a code to activate the purchased electricity. The customer has the option to create a quick pay account, which stores their details securely and compliantly, making future top-ups even faster. The mobile payment process itself is completely PCI DSS compliant. The simple to use free App enables Keypad customers the ability to 'top-up' at any time and securely store payment details making future top-ups effortless. The smartphone Apps complement the existing phone and web solutions for Power NI's customers and demonstrate true multi-channel capability. By using a supplier who offers multiple channels, Power NI reduce the number of potential suppliers and take advantage of consolidated volume pricing.